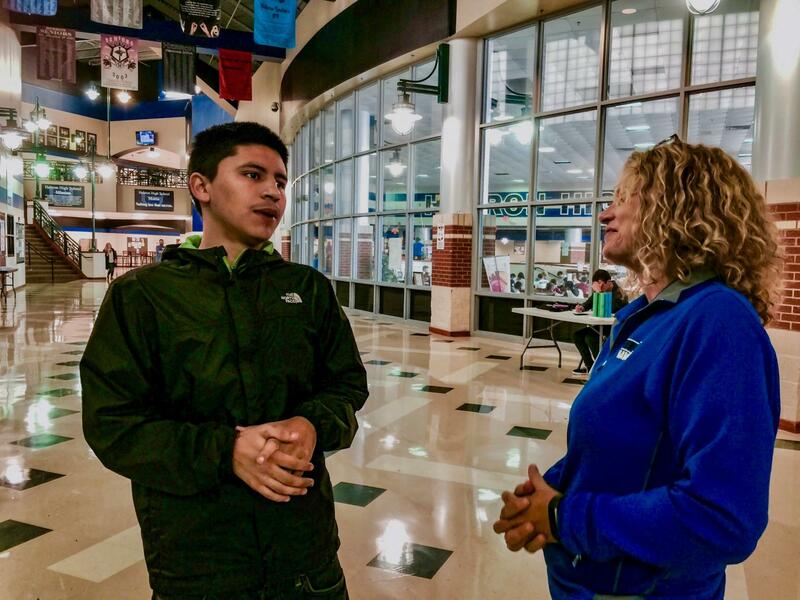 Daniel Elizardo discusses his plans for his future with assistant principal Sandra Lee. Elizardo said he wanted to open up a barber shop and pursue tattooing as a career. He wakes up to the blinding light of his hospital room; the room was mostly silent, apart from the whirring of the machines regulating his heart rate and his tense breathing. The last thing he remembered was walking out of class at the Learning Center and talking to another student, the rest was hazy from there. He was in a bed, a real bed. It had been months since he last slept in the comfort of his room at home. It had been months since he last saw his mom. It had been months since he resorted to spending the night in friends’ cars or by the train tracks near the school. Doctors told him he had a seizure: that he blacked out and had no control over himself. At that point, he did not know what he was feeling. There was some anger: toward his situation, his actions, his life the couple of months leading up to this day. As he gradually regained full consciousness, he did know one thing for certain: he had hit rock bottom. He realized he needed to get back on track, go back home and set his priorities straight. Now, former student Daniel Elizardo has overcome homelessness, drugs, and other obstacles and recently obtained his diploma in September – something he thought he would not be able to accomplish. In the months leading up to his seizure, Elizardo was arrested due to an altercation with his father; he was bonded out a couple of days later. After his release, he decided to leave his home and ended up missing about two months of school, mainly trying to find a place to live. Through the money he earned by hustling and with help from his friends regarding bills, Elizardo was able to save up enough money to live at a hotel for three weeks. Since Elizardo’s sophomore year, assistant principal Sandra Lee monitored his progress and attendance to make sure he came to school and stayed out of trouble. Elizardo holds up his diploma while wearing his cap and gown. Elizardo plans to work and earn enough money before he starts applying for colleges. Elizardo felt Lee was one of the only people able to motivate him to come to school and find a way to graduate. 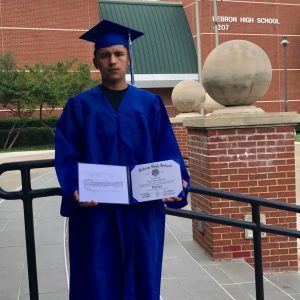 During the summer of his senior year, Elizardo had to take a summer elective course to make up for some of his credits in order for him to receive his diploma. Elizardo’s mother, Glendy Garcia, said getting the call from the school about the seizure was one of the scariest moments of her life. Now looking back at his seizure, Elizardo and Lee believe it was the turning point in his life that helped motivate him to go home and focus on doing better in school. Elizardo plans to pursue tattooing and opening up a barber shop. He also hopes to talk to students who are struggling with the same problems that he was going through and aims to inspire them through his story to work harder in school. From his experience of living in the streets and trying to find a place, Elizardo has learned an important life lesson that he hopes to share with others.